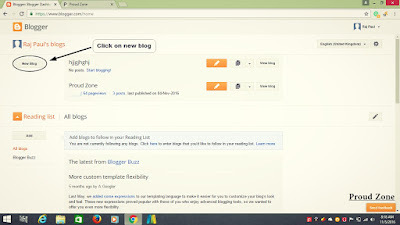 1 Why Choose Blogger (Blogspot) Platform? 2 How to select Niche of your new blog? 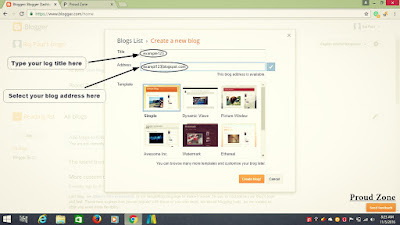 3 How to Create a Blog for Free on Blogspot? Creating and maintaining a free blog is very easy and simple nowadays, using various blogging platforms. Every day, thousands of people are starting their own new blogs with the niche they are skillful at, even some of them are taking blogging as a profession. After all, they’re all getting paid by Adsense. In our latest article, I have shown the easiest way to start a blog from scratch and the remaining tasks after that. Here in this tutorial, I will show you the simple method to start your own blog for free. 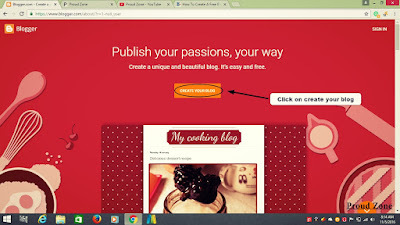 Now, before we begin this tutorial, you might be wondering like why only blogger platform for blogging? Why not other, right? 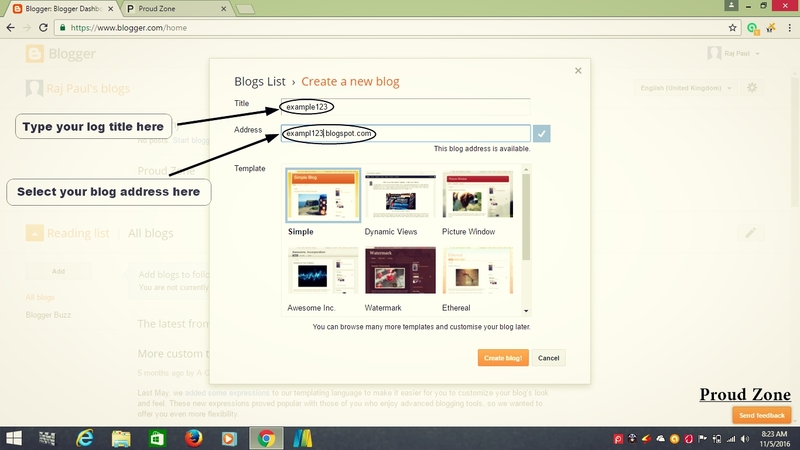 Why Choose Blogger (Blogspot) Platform? Nowadays, many blogging platforms offer users the ability to create free blogs, some of them are Blogger, WordPress, Wix, Weebly, etc. 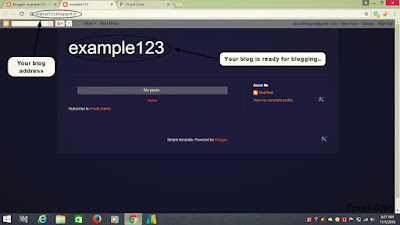 But if you are seeking to create a simple free blog without investment, from a trusted blogging platform, then my suggestion would be to start a blog with Blogspot platform. Only because blogger is powered and hosted by the Google, and we all know that Google is trusty enough compared to other alternatives. And the best part about it is that they provide simple drag and drop navigation system to let anyone start their own blog. Once you learn the blogging basics and have some experience, you can migrate your blog to the most powerful blogging platform, known as WordPress Self-hosted platform and become more professional with it. How to select Niche of your new blog? Now that you have learned, why selecting the blogger platform is profitable. So, the next task is to select the topics that you are going to include in your categories and start publishing contents. Ask yourself, which topics you like most. Blogging is all about long-term investment, so you need to choose the topics you are expert at, and the topics you will love to share from your own point of view. Below are some of the key points, that you should always focus on before creating a new blog. 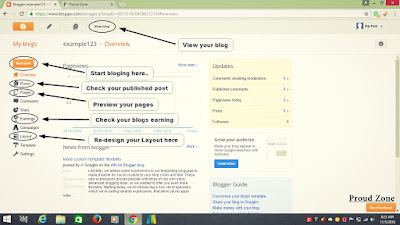 How to Create a Blog for Free on Blogspot? After choosing the niche of your site, now its time to start your blog. 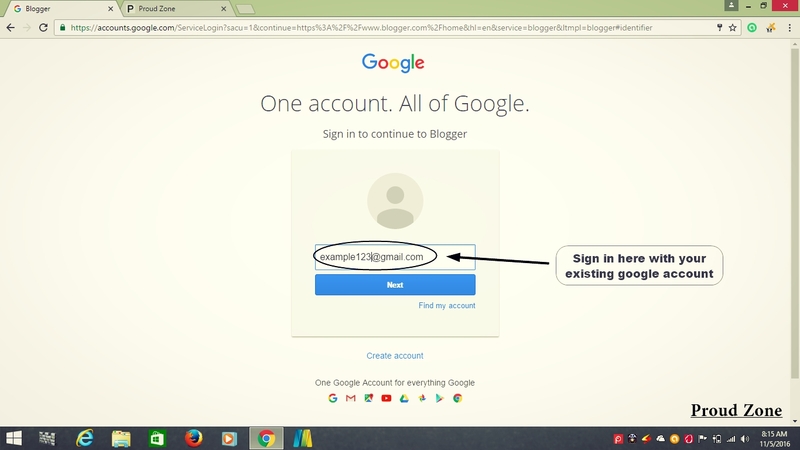 In order to create your first blog, you need to head over to the blogger website and sign up using your Gmail account. 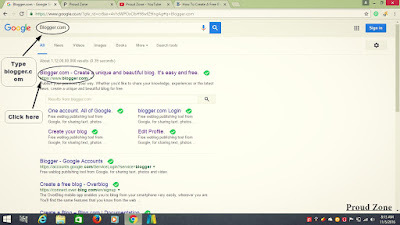 While the creation of your blog, for a first time user, you will see an option to use the identity from your Google Plus profile, or you can use your limited BlogSpot profile. Remember, you can always change the author profile for your blog. 1. 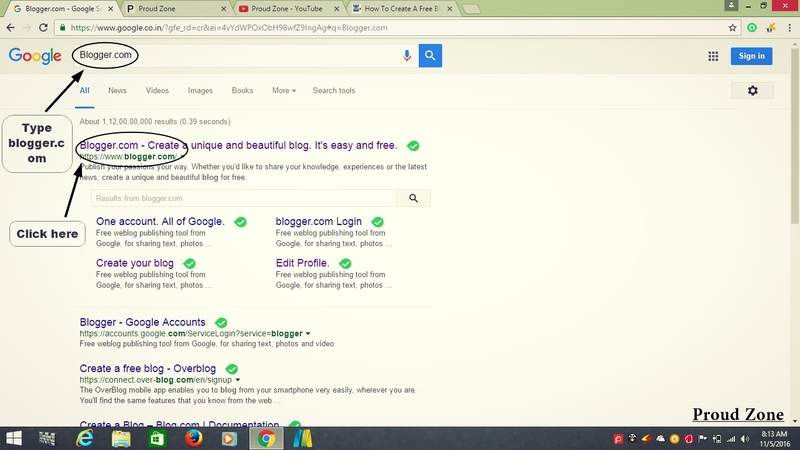 The first thing you need to do is open Google.com on your pc, laptop or mobile and type blogger.com. 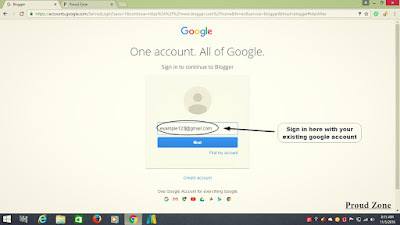 Then, click on the first link of the official blogger site to sign in with your Gmail account. 2. 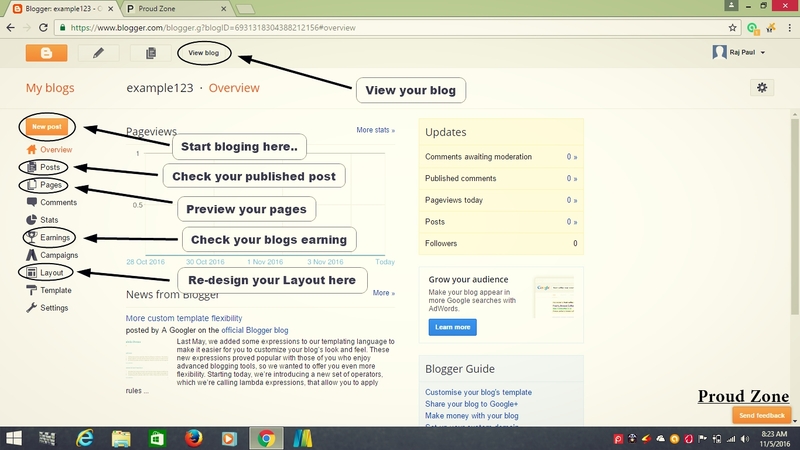 After clicking on the blogger site you will be redirected to a new tab. Click on “Create Your Blog”. 3. Now, your 3rd step is to sign in on google with your present Gmail address. But if you don’t have a Gmail address, create a new one below the box. 4. 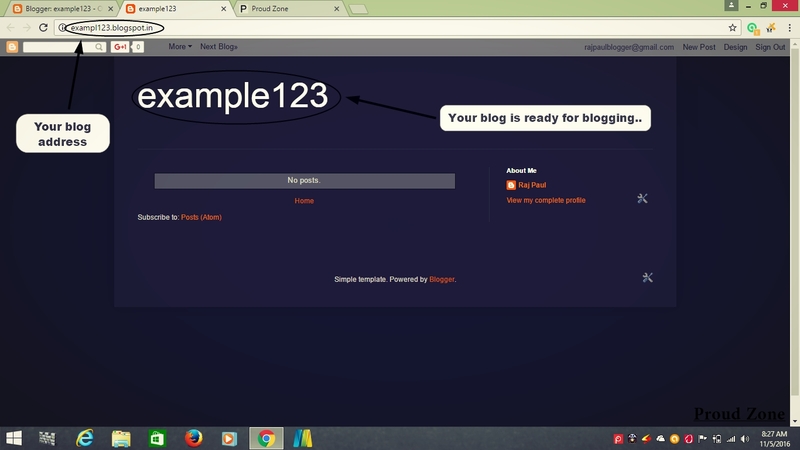 Now you are successfully signed in to blogger.com. Now its time for you to click on “New Blog” to create your first free blog. 5. 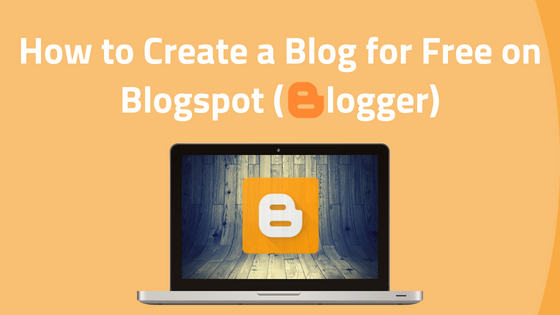 Now, you are one step away from creating your first free blog. 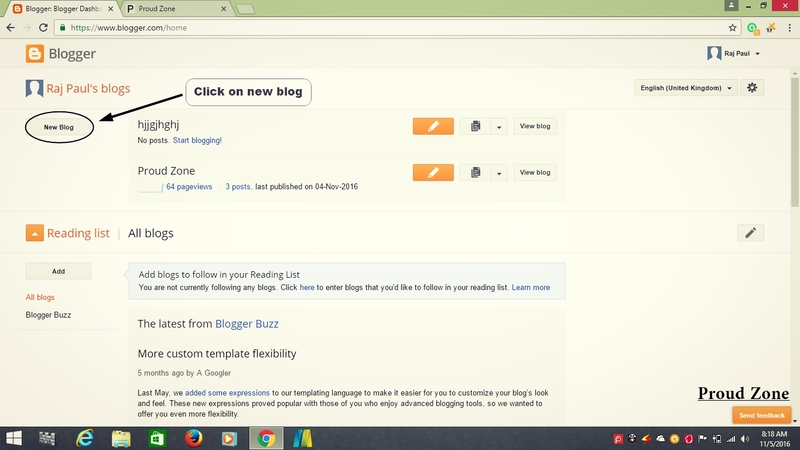 Now you have to select a title for your blog and the template, don’t worry you can pick any title and change the theme whenever you want. Now the main part is to select the address for your blog, so choose something new and unique because once you select the address you cannot change it. It will be the permanent address for your blogging site. Note: Millions of people have already taken URL address for their blogs, so during the search process you might not get your desired address. So, to solve this problem, choose 4-5 web addresses for the blog so that you can get the most relevant address for your new site. 6. Finally, your blog is created. So, now you need to understand how to write a post or how to change your layout. That’s why I had posted a screenshot given below. Remember, once you have a few blog posts up and running, you can go to “Earnings” and apply to AdSense from your blog, this will allow you to earn money from your free BlogSpot blog. 7. So your blog is almost ready and you can start writing posts. Remember you can always customize your blog templates whenever you want. Very easy right! But still something is missing, isn’t it? Now your next goal would be to add “widgets or plugins” on your blog. Now, what is a widget? In order to add widgets to your blog, go to Layout > Sidebar and click on “add a widget” & select the widget you want to show to your readers. Now, you might consider changing your blogger template first, right? Read my another article that I’ve created all about changing Blogspot templates. For your ease, you can watch “How to Create A Free Blog on Blogspot Platform” video tutorial that I’ve created to help you understand well. Now finally, you’ve got your first own blog on the most popular blogging platform. Now, after the creation of your site, your next task is to submit your site on the popular webmaster tools so that you can start appearing in their search results. You can also consider changing blog template to premium ones so that your site always look attractive and professional. At last, here are some hand pick contents for you, that you should try next.